ARTS CORPS is a free arts education program for children and teens ages 10-18. Students will work with mixed media and found images to create collages of self-expression. Students are encouraged to bring materials, but not required. Anything can be used to make art: old magazines, newspapers, broken jewelry, scraps of fabrics or paper. Sequoia Sequoia is a local art student at KCC who works in acrylics, oils, mosaics, clay, watercolor, and other mixed media. She has been creating since she was 10 years old. Her work has been shown at the Koa Gallery at KCC. In the past she has worked with local artists Jonathan Clarke Sypert, and Dr. Allana Coffee, assisting them with their workshops. She has been an ambassador of Marks Garage for the past year. Teen mentors in the Girls Lead Initiative w/ Hawaii Women in Filmmaking will host a screening of original short films created by their peers, on subjects relevant to their lives. Followed by a discussion with participants about the issues the films addressed. The Girls Lead Initiative sparks girls-led community transformations using the films they created during Hawaiʻi Women in Filmmaking educational programs. In these films, the girls tell their stories and what matters most to them, as well as their everyday struggles. Through these girls-led curated film screenings, the initiative creates spaces for conversations leading to the development of audience-based participatory plans of action on the issue(s) discussed. Over a three week period students will build and decorate a Christmas tree for the ARTS at Marks Garage. This will include construction of a small Christmas tree, Christmas ornaments, and other crafts that will spark creativity and celebration of the season. This activity is appropriate for students of ALL AGES. Becky McGarvey is the program director of ARTS Corps, and a long time craft enthusiast. She has dabbled in sewing, jewelry making, paper mache, and has had experience planning and running craft activities in skilled nursing facilities. Christmas is her favorite time of the year, due to the wider acceptance of glitter and sparkles on everything. 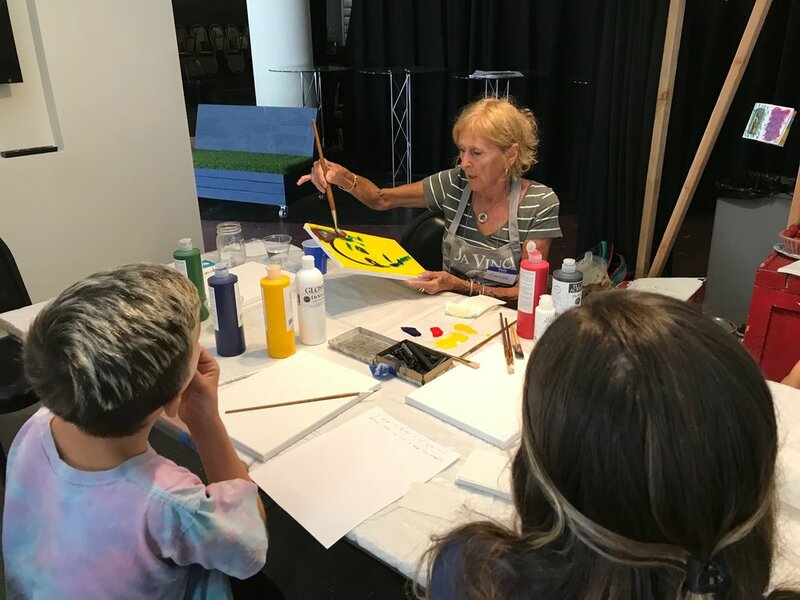 This summer and more, the ARTS at Marks Garage will be showcasing student work from their community arts education program for young people: ARTS Corps ARTS Corps is a once a week free arts education program for young people ages 10- 18. Partners at the ARTS at Marks garage host classes and workshops in different disciplines from theatre to mosaics. 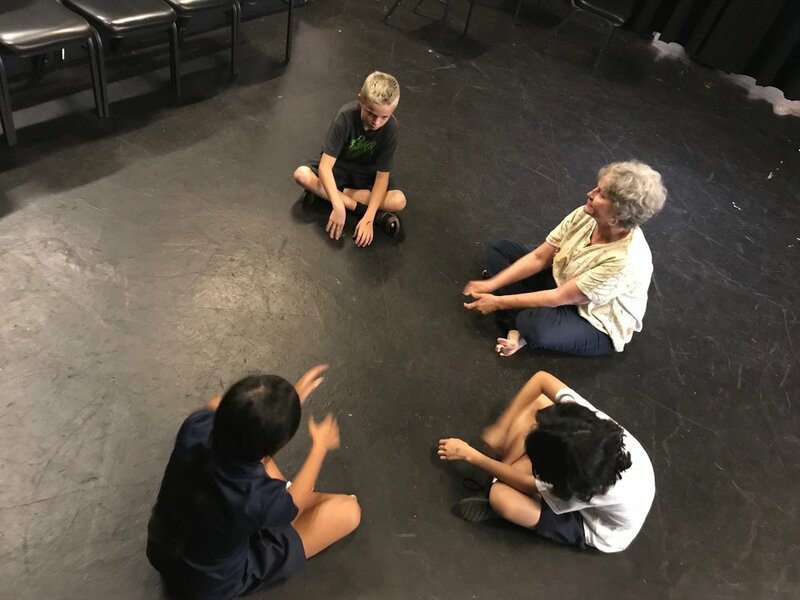 In the past two months the students have created and worked with the Hawaii Shakespeare Festival, Playbuilders of Hawaii Theatre Company, and Friends of the Library. The Friends of the Library hosted workshops in which students wrote, illustrated, and published their own zines. Led by local art educator, writer, and illustrator Elizabeth Oh, and a member of Friends of the Library. The students original work will be on display in the “hive” of Marks Garage throughout the summer, and copies of their zines will be available at the Hawaii State Public Library. The purpose of ARTS Corps is to expose children and teens in the community to art, encourage confidence in creativity and self expression, and learn healthy communication skills through discussion and “talk story”. It creates a direct connection with professionals and young people of the community, and brings partners and people together as they coordinate these unique programs. ARTS Corps will continue to be open to all students ages 10-18 every Thursday from 3pm-5:30pm. Marks Garage provides light snacks, and the program is completely free.